Position Your Portfolio for Profits using the Chaikin Power Gauge Rating, Anywhere You Go! Get portfolio analysis, “done-for-you” stock research, & Marc Chaikin’s expert insights, all powered by the PROVEN Chaikin Power Gauge™ stock rating. Spot trouble and opportunities ahead of price moves. 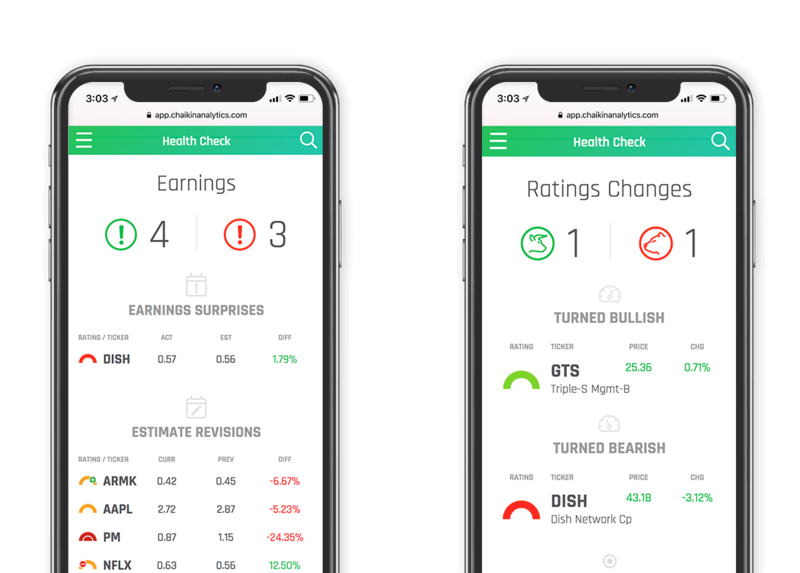 Portfolio Health Check gives you an instant analysis on the strength of your stock portfolio. See earning surprises and estimate revisions within your holdings, which can affect your stock’s price. 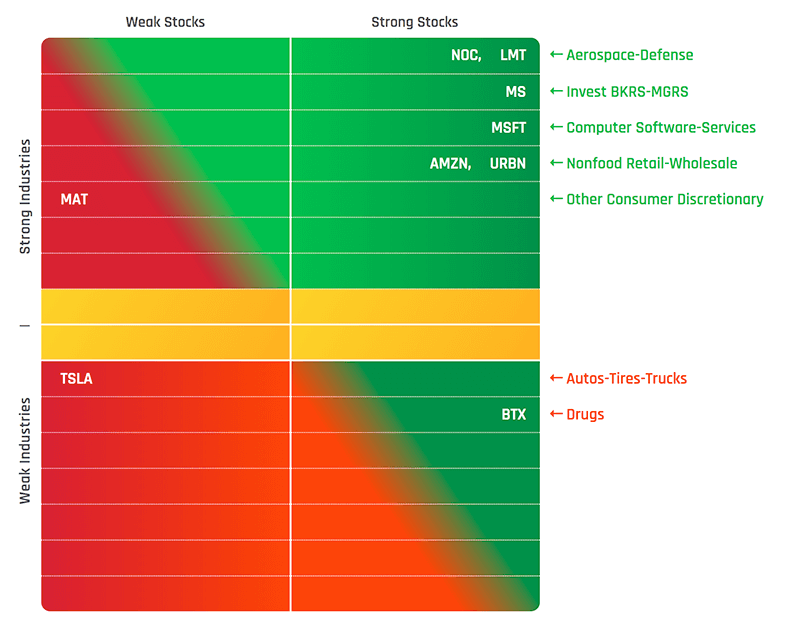 Instantly visualize stocks by strongest and weakest industry group for an at-a-glance analysis. The Chaikin Power Grid is one of the most powerful tools in the system. Chaikin suggests an approach of holding strong stocks in strong Industries. The Power Grid plots the stocks in your portfolio clearly displaying strong/weak stocks in strong/weak industry groups. Instantly see where any stock is headed with the Chaikin Power Gauge stock rating. 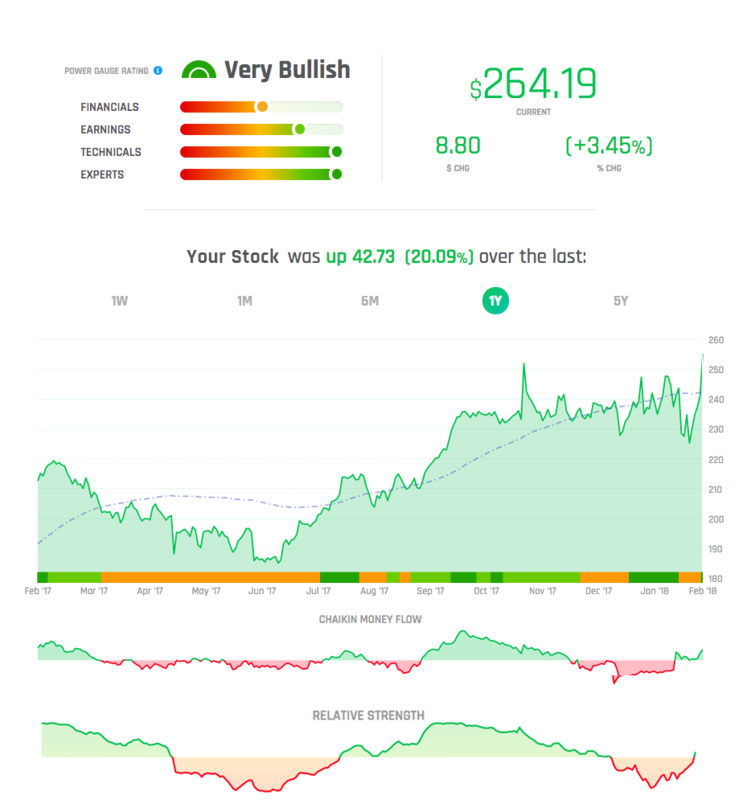 Interactive, plain English stock charts make it easy to understand where a stock is headed and why it has a Bullish or Bearish rating. Drill down on “done-for-you” fundamental, technical, and sentiment data. 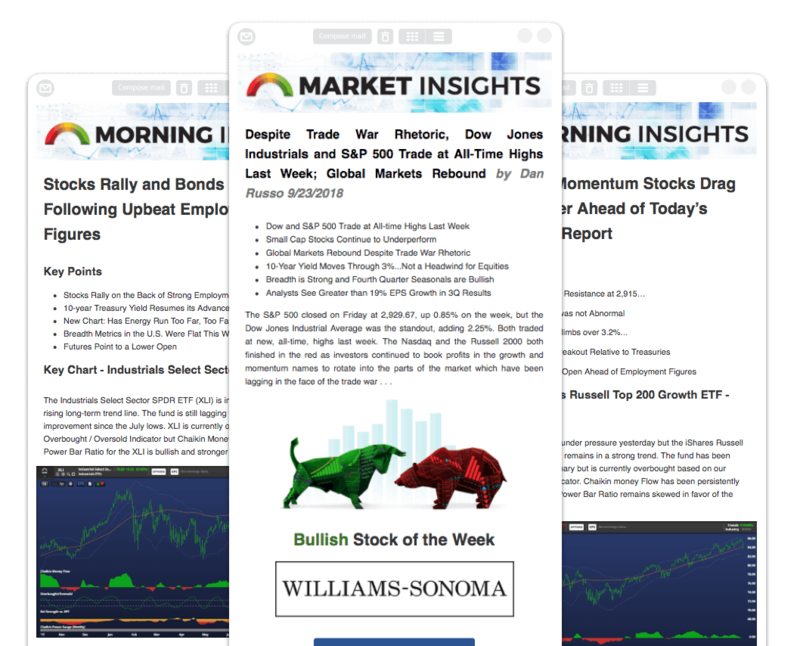 Quickly scan any stock’s latest news stories, earnings reports, and even their competition. Chaikin Power Gauge™ stock rating. The Chaikin Power Gauge stock rating is a 20-factor model that identifies bullish stocks to buy and bearish stocks to sell. It does the heavy lifting for you by combining fundamental, technical, and sentiment data. With ten years of backtesting and seven years of real time data, it’s proven to be one of the most accurate predictors of timing and direction in the world. 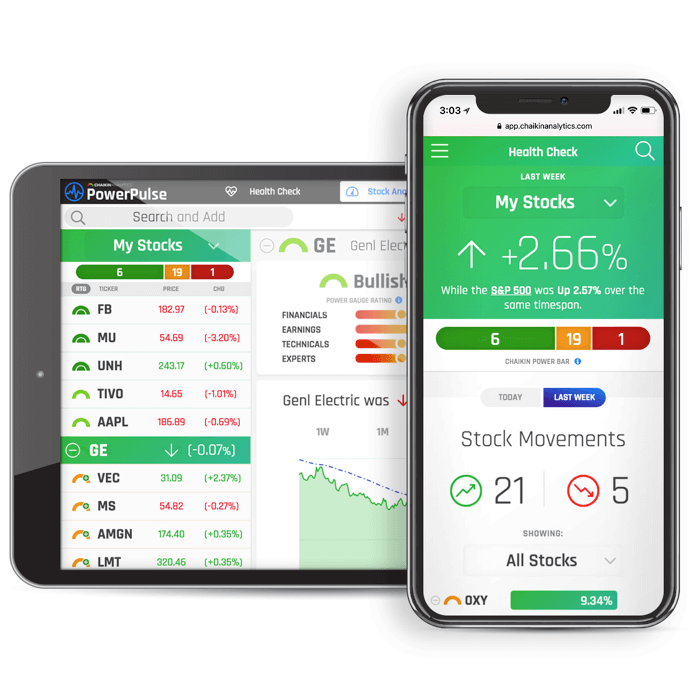 Chaikin PowerPulse saves you hours of time researching and monitoring stocks with “done-for-you” research and portfolio management. Everything you need for the upcoming week, and so much more! Each week, stock market expert, Marc Chaikin analyzes everything you need to know about the market, what happened in the market this past week, what Marc anticipates in the coming week, and what you should do next week. No more searching! Monitor the health of your portfolio from anywhere, 24/7! Chaikin PowerPulse is mobile-friendly, meaning you can access your stocks and research new ones from any browser, on-the-go.